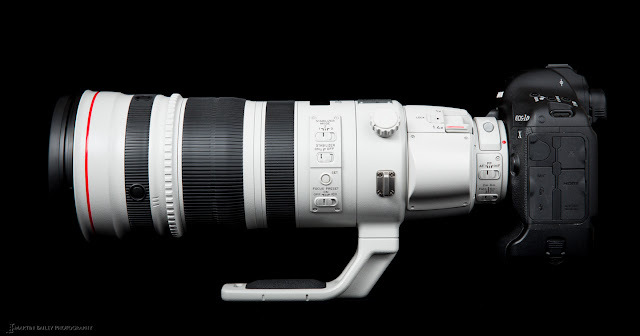 Michael Daniel Ho - The Wildlife Ho-tographer: When Is The Canon Super Zoom Lens Coming? Back in 2015, I reported Egami discovered a new Canon patent for a 200-600mm f/4.5-5.6 Super Zoom lens. Unfortunately, Egami has since been off the Internet and no more new patents have been reported. However, Canon is definitely work on this technology. As you know, they rarely try to be the first, just the best. Currently, the Super Zoom space is occupied by Sigma and Tamron. Both companies have the 150-600mm lens out for a few years now with mediocre to good results. Canon has the EF 100-400mm f/4.5-5.6L IS II and EF 200-400mm f/4L IS USM Extender 1.4x lens out for some time but they are not readily affordable to all photographers. The new Super Zoom model Canon is perfecting now may not be an 'L' lens but it will be of high quality and more affordable, perhaps in the $1,000 to $1,500 list price category. There is a chance Canon may decide to really wow photographers and turn this Super Zoom design into a SuperTelephoto zoom lens. If that is the case, I expect some industry breaking innovation. Perhaps a two stage built-in extender, like 1.4x and 1.7x. Stay tuned and keep checking back for the latest development.